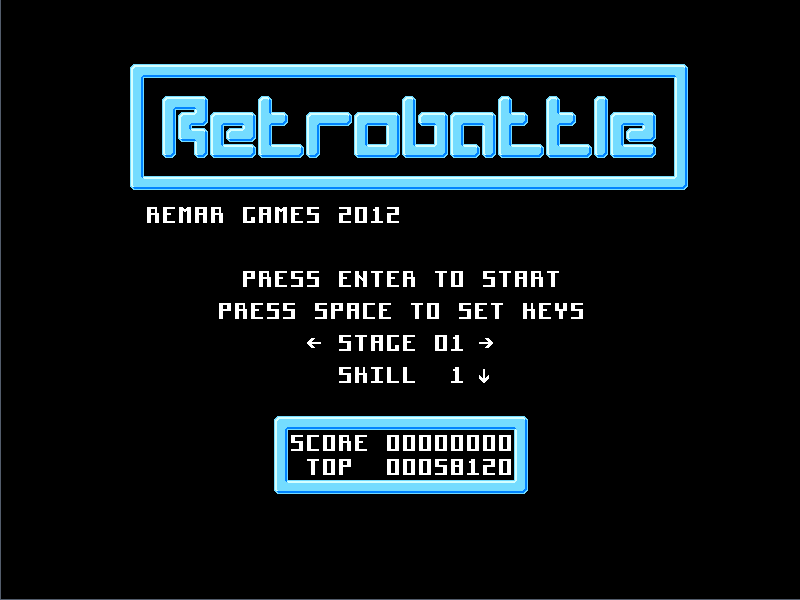 Retrobattle is made to look and feel like the classic arcade-style NES games, such as Ice Climber and Clu Clu Land. 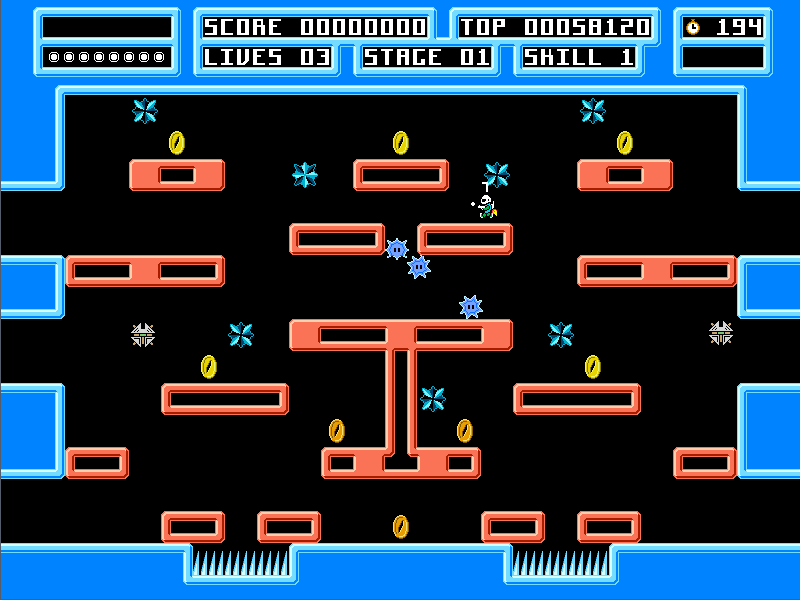 Not only are the sprites limited to three colors each, but the scoring, increasing difficulty, and setup of the game makes for a challenging arcade experience that mixes various oldschool concepts. 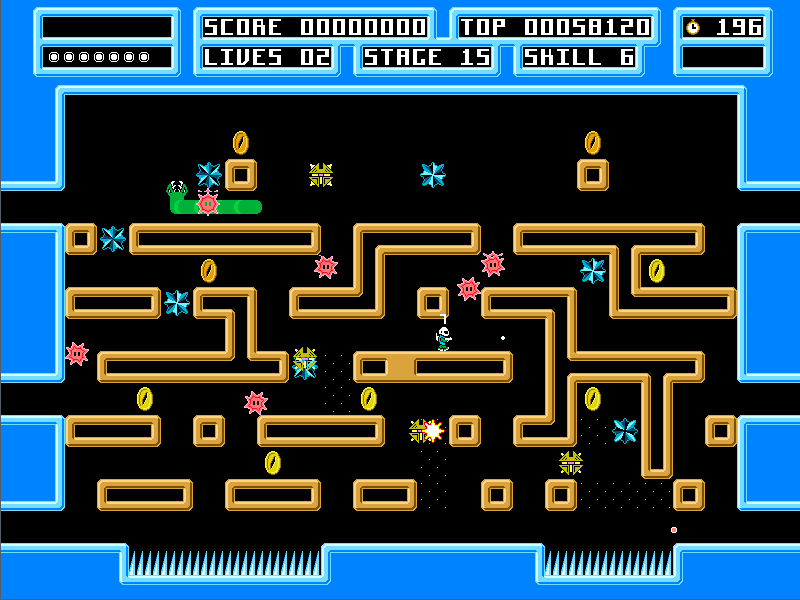 Note that playing on Skill 1 is pretty boring compared to the havoc of Skill 8, so it may seem slow at first. - Reverted SDL_OMAP_LAYER_SIZE value to "fullscreen"
- Changed build type from "beta" to "release"
- a white blinking dot may appear in the level sometimes. It'll stay on screen, even after a "game over". You'll have to exit the application in order to get rid of it. 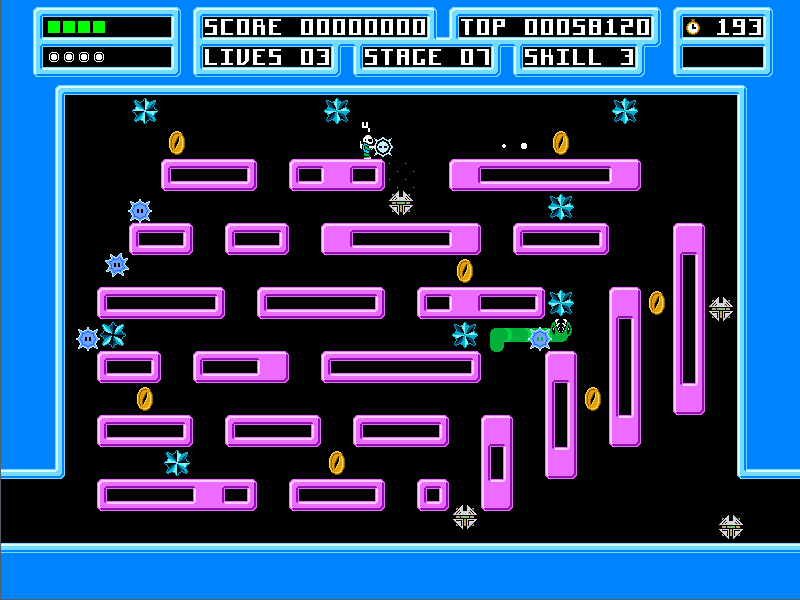 - some pieces of the level seem to be drawn in places where they shouldn't be. I noticed it several times, always in level 9 (? ), and always near the upper left corner. Much fun, it's all about the gameplay. Easy? Hah! Try skill level 8. Note: You can shoot walls too to get to places where you can not access. Also, you can shoot a ledge into a wall while falling to step on the new plateau. Good gameplay, makes you come back for another go.